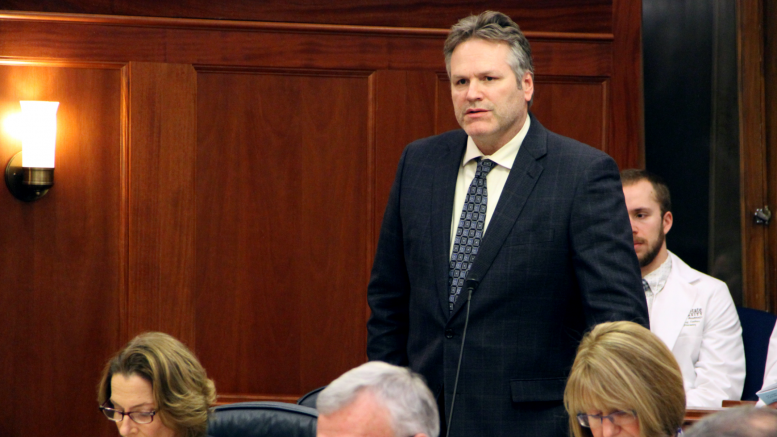 Campaign ads for the 2018 governor’s race will start hitting televisions this weekend, paid for by an independent expenditure group backing former Wasilla Sen. Mike Dunleavy’s race for governor. Dunleavy for Alaska, an independent expenditure group run by Anchorage conservatives Terre Gales and Bob Griffin, announced this week that it has raised $560,000–an enormous sum this early in the election cycle–from four people, including Dunleavy’s brother. The first bid is a series of television ads that will run during the Super Bowl and Olympics in both Anchorage and Fairbanks. According to fillings with the Federal Communications Commission, Dunleavy for Alaskans is planning big television ad buys starting with the Super Bowl ($4,000 for a 30-second spot on Fairbanks’ KTVF and a $15,000 30-second spot on Anchorage’s KTUU) and rolling into the Olympics ($9,750 for KTVF and $25,800 for KTUU). That’s a grand total of $54,550 in ad buys, leaving more than $500,000 left for the rest of the year. The Anchorage Daily News reports that the total is about half of what Gov. Bill Walker raised and spent on the 2014 campaign. A snapshot of the financial position of Dunleavy’s personal campaign and the campaign of other candidates aren’t due to the Alaska Public Offices Commission until Feb. 15. Be the first to comment on "Pro-Dunleavy super PAC goes big with Super Bowl and Olympics ads after netting $560,000"